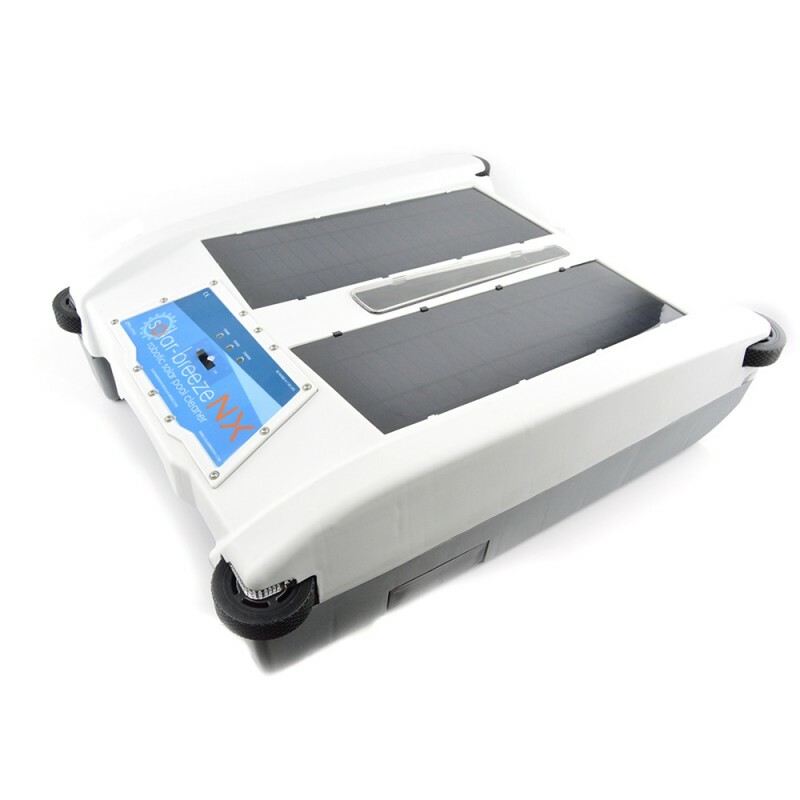 The Solar-Breeze NX operates for free using solar power and removes material from the surface of your pool before it sinks - eliminating hand skimming, reducing the amount of bacteria growth in your pool and lowering pool pump usage.---- The Solar-Breeze automatic pool skimmer is a smart robot, powered by the sun. Without you lifting a finger, this pool skimmer removes 90-95% of all debris, including leaves, pollen, dust and even suntan oils from the surface of your pool before it sinks to the bottom. And it does this for FREE using only energy from the sun. *Save Time -- With the Solar-Breeze your swimming pool is always "swim ready". No more hand skimming to remove debris before you jump in and no more rushing to clean the pool before your party guests arrive! **Save Energy and Money - Removing debris from the surface before it sinks to the bottom means that less bottom cleaning and filtration is required. Find out how Solar-Breeze owners are reducing their pool pump usage and lowering their energy bills! ***Help the Environment -- Pool pumps are often the second largest consumer of electricity in a home, after the AC and heating system, especially in sunbelt regions. Since Solar-Breeze allows pool owners to reduce the pool pump usage, it also helps to reduce the carbon footprint associated with running your pool filtration system.